Welcome To Minnich Roofing, Inc.
© 2010 Minnich Roofing Inc. All rights reserved. Minnich Roofing, Inc. has been providing highest quality service and products in the roofing industry since 1993. Every day, we strive to provide you with friendly service and quality workmanship the best in the industry. We are a family owned company which allows us to provide you, the customer, our unequaled attention. We listen to our customers so we can find out what their concerns about their roofing project. 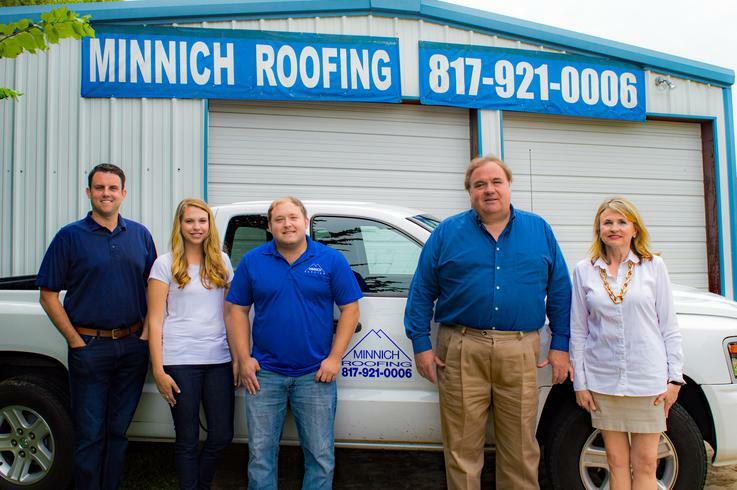 At Minnich Roofing, Inc. we promise to satisfy every customer. We provide services in the Dallas Fort Worth and surrounding areas in commerical and residential roofing. Re-roof, new roof, minor and severe repairs, we fix any roofing problem. With free estimates without any obligation.